Wyland is a marine life artist who has earned the distinction as one of America’s most unique creative influences, and a leading advocate for marine life conservation. An accomplished painter, sculptor, photographer, writer, and SCUBA diver, he has traveled the farthest reaches of the globe for more than 25 years, capturing the raw power and beauty of the undersea universe. 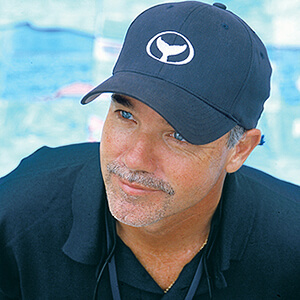 Through his unique paintings, sculptures, and photography, Wyland has inspired a generation about the importance of marine life conservation.